At our house, it all began with the tree, an “edible” Christmas tree. My childhood family Christmas tree was always set in Grandma Rosa’s kitchen, and the tree was a humble, conical juniper bush–only four or five feet tall with prickly silvery blue-green branches and shriveled berries left over from the summer. The hills surrounding Busoler—my childhood home on the Istrian peninsula—were studded with juniper bushes and every year my brother Franco and I would help Grandpa chop the chosen juniper bush and bring it home. Our tree was not full of silvery glass ornaments, tinsel and twinkling lights. It was a Christmas tree studded with edible decorations, and the making of those decorations began weeks before and were full of excitement and anticipation. 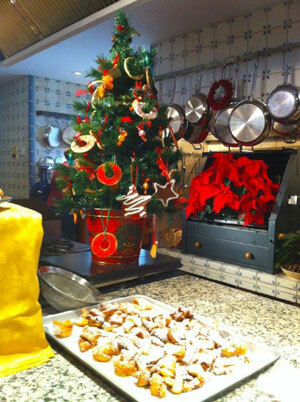 We harvested and dried many figs, almonds, walnuts and hazelnuts to decorate the tree. The figs were strung with bay leaves on sturdy verbena sprigs and then tied like a necklace and hung on branches. Almonds were tied with string to make garlands that draped across the tree. Quinces, tangerines and oranges were hung with the same heavy thread that Grandma used to make our slippers. Weeks in advance, we baked cookies such as fritole, crostoli, and ravioli dolci. We tied them with pieces of ribbon and placed them on the tree along with candies wrapped in shiny silver and gold wrapping. The edible Christmas tree is still a tradition at our house today, but Christmas dinner is where we all gather around the table and share family moments. I begin baking weeks in advance but on Christmas Day, I start cooking early in the morning. We typically gather in the early afternoon with an extensive antipasto spread of octopus salad, baked clams and shrimps, prosciutto, mozzarella and a lot of grilled and cured vegetables. The first course is a capon or chicken soup with tortellini topped with spoonfuls of grated Grana Padano. 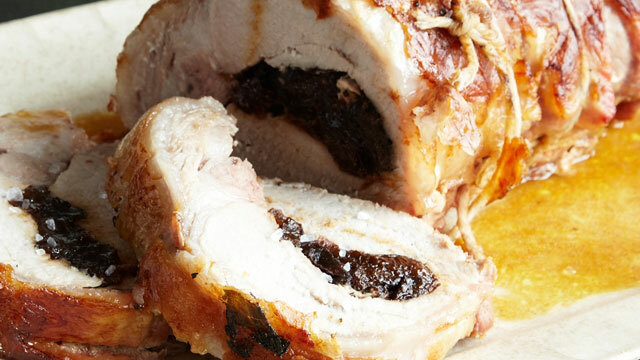 Roasted meats are the centerpiece; we love roasted pork stuffed with prunes. The Italian table is also known for its vegetables, so we enjoy broccoli rabe, savoy cabbage, asparagus, olive oil mashed potatoes and braised escarole. 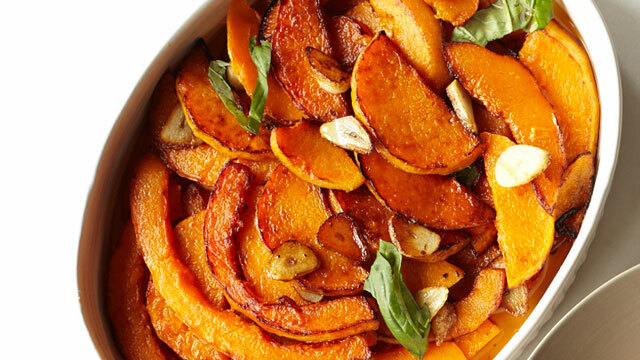 After some good wine and a respite comes a spread of dessert and seasonal citrus fruits like clementines and tangerines. (A big bowl of citrus studded with sprigs of pine makes a perfect holiday table centerpiece). Spoon desserts are a favorite such as tiramisu and zabaglione with spiced breads. 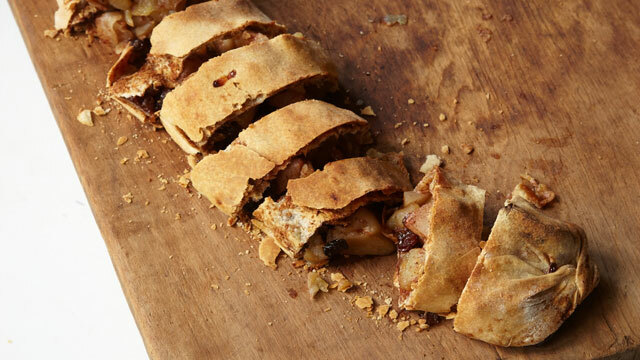 There is also the traditional Milanese panettone, apple strudel, chocolate cakes, cookies and amaretti pudding. 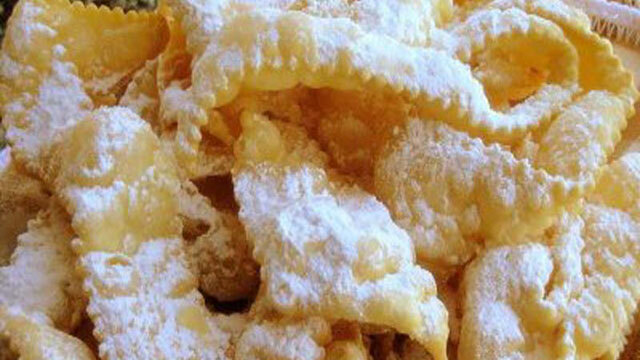 The must-have dessert at my holiday table are the crostoli, ribbon shaped fried dough cookies laden with powdered sugar that also decorate that edible Christmas tree. The Edible Christmas Tree and the Christmas Day table are the kinds of memories that will stay with you for your whole life. Traditions like these give a sense of family and belonging; they provide a way to share our family history with children and grandchildren, to make it relevant to their lives now and to give us all something to aspire to. 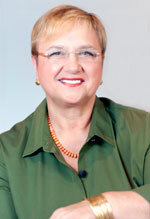 Lidia Bastianich is the host of Lidia Celebrates America on PBS. She is also the host of the longtime series on public television, Lidia’s Italy, distributed by American Public Television. She is one of the best- loved chefs on television, a best-selling cookbook author, restaurateur, and owner of a flourishing food and entertainment business. 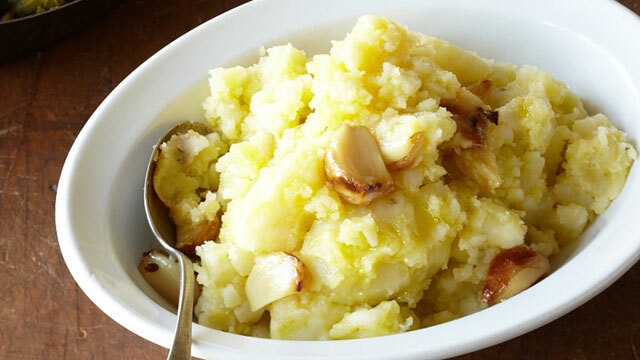 Lidia has married her two passions in life – her family and food, to create multiple culinary endeavors alongside her two children, Joseph and Tanya.